Join us for a two-day intensive weekend workshop to learn about water quality monitoring in New Jersey! 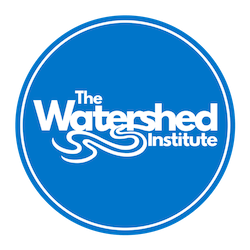 After a brief introduction to stream and watershed ecology, participants will go streamside to learn techniques for visual habitat assessments, physical monitoring, and benthic macroinvertebrate sampling. Benthic macroinvertebrates, or small organisms like insect larvae, crustaceans, and mollusks that live in streams, are used as biological indicators of stream health. This workshop is a great introduction to visual and biological monitoring for someone interested in taking the next step and becoming a volunteer monitor! After the workshop, participants will be connected with a community-based monitoring program near them to start volunteering. We will meet at Halpern Hall for Science and Education at the Camden County College Blackwood Campus. Bring a pair of knee boots or waders if you have them. Any children under the age of 18 must attend with a parent or guardian. No children under the age of 14 are permitted. Event co-sponsored by New Jersey Department of Environmental Protection, with support from South Jersey Land and Water Trust and Camden County College. Cancellations received by April 20th are eligible for a refund. Please let us know if you cannot attend; we may be able to offer your space to someone else. Halpern Hall for Science and Education at the Camden County College Blackwood Campus.